The Blog That Yost Built: Scouting the Spartans With "The Munn Minute"
Scouting the Spartans With "The Munn Minute"
The Munn Minute, written by "MSUStudent" from the Yost Post, thought it might be fun for us to have a little back-and-forth in light of this weekend's series between Michigan and Michigan State. I answered a bunch of questions about the Wolverines for his site, and he returned the favor by discussing the Spartans for me to post here. I freely admit that the questions that were similar between the two interviews were totally ganked by me. Yost Built: Okay. So Jake Hildebrand has a GAA that's almost half that of Yanakeff. His save percentage is 64 points higher. His winning percentage is almost 10% lower. What gives? They just not giving him any goal support whatsoever? Are they inflating his save totals like they did with Jeff Lerg? How are you not winning 30% of your games when a guy is stopping 94% of the shots that the other team puts on goal? Like....I kind of feel bad for the guy. Can we have him? The Munn Minute: First off, no, you can't have him. If it wasn't for him, I'm not sure MSU would have a win at this point in the season. I don't believe the Jeff Lerg shot inflation is going on, though the first night against Penn State made me wonder if it was. The problem is offense. If you thought MSU football had no offense, the hockey team is setting new limits on just how inept you can be. 54 goals scored in 26 games. Hildebrand has lost three 1-0 games this year. Yes, you are reading that correctly - MSU has lost three games this year by a 1-0 score in which Hildebrand was in goal. And I'm not counting the 2-1 or 2-0 games either. MSU has been shutout five times this year (six if you count the game against the US Development team), and only one of those five games the team scored more than two goals, and in that game the final goal was an empty net goal. Now with that said, I do believe MSU has some guys in place that look like they could turn into something down the road. Kevin Walrod had a pretty good weekend against Penn State, and if he can get going, MSU might actually have a second line develop. Just take a mental note of how many quality chances MSU gets this weekend and then count how often they miss the net. Even Coach Anastos has said the team needs to hit the net more. It has been interesting to see how many close opprtunities go wide. YB: Clearly this season hasn't gone the way that either of our fanbases (or either of our teams) would have wanted. Who is the most pleasant surprise on your team? Any major disappointments? TMM: The biggest disappointment has been the injuries. Bondra and Chelios (Dean) being out hurts the depth up front. Maybe we can get their dads to come in and play a little. Hildebrand actually has been a surprise, because I don't think he was a highly rated recruiting target. His numbers weren't bad in the USHL, but they weren't eye-popping either. I believe he posted a .913 save % and 2.79 GAA in his final year. Solid numbers. His rebound control has been spectacular this year, and he really seems to be calm under a lot of pressure. It gives me a lot of hope that MSU can build around him for the next few years. Draeger on the blue line seems to be getting more comfortable and improving - but again, the offense needs to come. The offense in general has been disappointing. You can probably go right down the list, but the upperclassmen haven't been producing a lot. YB: A lot of people mocked the Anastos hire when it happened. There were also a lot of people who swore up and down that it was a brilliant move. You're on year 2 now, so it's probably still too soon to say for sure, but which side of the fence are you on? Do you think he's the right man for the job? TMM: I will admit I wasn't exactly jumping up and down with the hire, but I wasn't in the room when he interviewed, and Anastos has brought people back to the program despite a struggling season. He got the team to the NCAA tournament the year before - something Comley was struggling to do. He played at MSU, and he knows the program. He basically said all the right things at first, and I think that got a lot of people in his corner. I heard a stat a week or two ago that Michigan State was leading the CCHA in attendance. I never did check to verify it, so it might not be true, but if it is then I think that shows what a good job he is doing bringing the University back to the program. Attendance had suffered under Coach Comley. But now if a team that is in last place in the CCHA is leading the league in attendance, then he must be doing something right. I also like some of the kids that it looks like he has coming into East Lansing in the near future. I'm wondering if hockey fans are going to be patient enough to give him enough time to finish the job, and I think people are willing to give him a pass on this season given the circumstances of injuries and having so many freshmen on the roster. It's going to be important that MSU has a rebound year next year though. YB: I have a major hatred for Bryan Lerg because of the whole decommit-and-then-go-to-State thing. Also Corey Tropp and Andrew Conboy for obvious reasons. 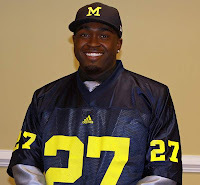 Is there/Are there any Michigan player(s) past or present who someone could say their name to you and your immediate reaction would be, "Aww man, screw that guy"? TMM: T.J. Hensick. Couldn't stand the guy. 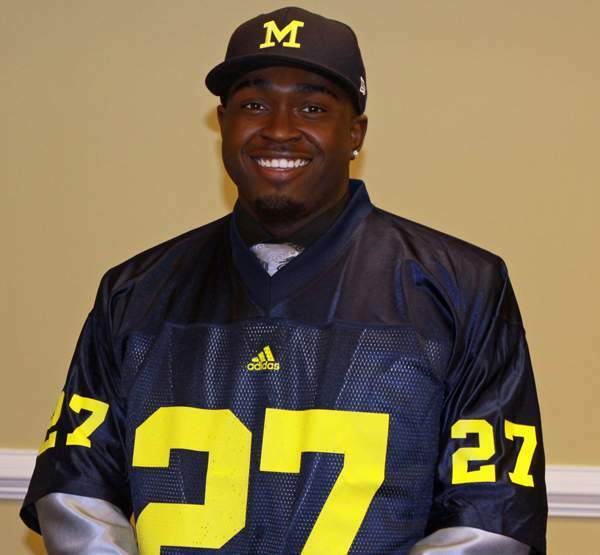 Great player, but it seemed like he would destroy MSU and was at Michigan for 15 years. Treais is getting up there on this list, but I don't have quite the same "Wow, didn't he graduate 3 years ago?" feeling with him that I had with Hensick. Then he went to play for the Avs - which made it worse (as a Wings fan). I think he's in the Blues organization now too right? That isn't any better. Al Montoya was fun to mess around with at Munn. It didn't seem like he ignored your comments either. TMM: The Cold War was a great experience at Spartan Stadium. It also made everyone instantly like Jim Slater since he said something either before or after the game (I think) that any MSU fan would love to hear "I hate Michigan." Plus he scored the goal that tied the game late in the 3rd period. (Thanks to a blatant penalty that went uncalled. Just saying. -YB) The 2008 game at Munn when Michigan was #1 and unbeaten on the road was fun to be at. MSU used a couple quick goals in the second period to turn a tight 2-1 contest into a 4-1 blowout. The ultimate 5-2 win kept MSU in the CCHA title race too. One of my favorite moments happened during team introductions at Munn. 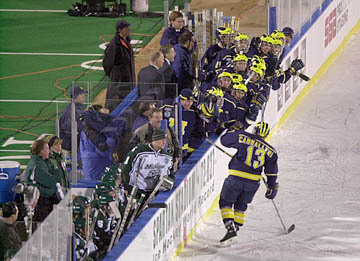 I forget which year (I want to say early 2000s - since Mason may still have been coaching, and I was in my first or second year at MSU), but the first Michigan player introduced skated out and fell down at the blue line. He got a standing & laughing ovation from the crowd at Munn, and he actually did a good job shaking it off putting his stick in the air to acknowledge the crowd. We thought it'd be good if his next teammate intentionally fell just to make him feel slightly better. YB: If you could have one Wolverine on your team right now, who would it be? TMM: Probably Trouba. MSU always seems to have d-men that can create offense (Krug being the latest example). We need that this year, since it really hasn't happened yet. Trouba certainly could fill that role. YB: Thoughts on the Big Ten Hockey Conference? TMM: I love the idea. I think the casual hockey fan turns up for the big name schools, so getting Minnesota, Wisconsin, Ohio State, and Penn State on a regular basis will put more people in the seats and eyes on the TV. I think the teams within the conference need to improve, or we might as well hand the trophy to Minnesota for the first couple of years. My one concern though is if the shoot-out follows us into the Big Ten. I'm not a fan of the shoot-out in the CCHA. But then again, I was never one of those hockey fans that really thought it was a big deal to end a game in a tie. I guess at the NHL level I've gotten used to it, but I feel like the impact of it isn't as great over an 82 game schedule. YB: Does your team have a winning streak in it to keep their season going into the NCAA Tournament? TMM: It would surprise me. The only way this happens is if we win the CCHA tournament, and the odds of that are simply not good. If Hildebrand continues to play well or gets even better then I suppose we'll be in some games, but right now MSU would have to go to Columbus and play Ohio State to win 2 out of 3. Ohio State swept MSU in East Lansing this season. If we manage to win that series, we'd have to go to Western Michigan for a pair. MSU is technically unbeaten against Western in like 3 or 4 games (GLI game counting as a tie) - which includes sweeping them in K-Zoo last year, but yeah - Hildebrand would need to put on a show. At that point it's single elimination which a good goalie can win you a game. But that point seems like it's a very, very, very long ways away. MSU is entering a key stretch to their schedule - State is only four points out of eighth place. And MSU plays Michigan, Bowling Green, and Northern Michigan over the next 3 weeks (the 3 teams ahead of MSU right now). Plus MSU has two games on hand Michigan and Northern Michigan, so the Spartans control their own destiny. If we can manage to get home ice in the first round, I think our chances improve. YB: What's been the single biggest reason for Michigan State's lack of success this season and what would be the single most important thing they could do in order to turn it around? TMM: Offense & more offense. MSU needs better production from its second and third lines. I also think MSU needs better production from the blue line (top d-man in scoring has 7 points) and power play. Unfortunately, I only think this is going to come with time and recruiting, and I do believe MSU has more offensive style recruits coming in, but we'll have to see if it's enough to turn things around. Berry, Delbouw, and Darnell can't do it by themselves. Tanner Sorenson has started to pick it up which has been good to see. If a guy like Chris Forfar or Kevin Walrod really get going (Walrod had a good weekend against Penn State), then MSU could still turn this season around a little bit - and at least be a tough out in the CCHA tournament. This means hitting the net when they have those good scoring chances, and it means taking care of the puck heading out of their own zone. I think I just gave you a few different things, but it just all revolves around putting more pucks in the net. YB: And lastly, your prediction for the weekend? TMM: With the way both teams have been playing this year, I suppose a split is the logical way to go. But I'm actually going to say Michigan gets five of the possible six points with a shoot-out win down in Detroit. Note: the last time I did this with a team was Ferris State and MSU won #reversejinx. One last thing - just to see if you'll put it on your blog.....Go [Derrick -YB] Green! Off the Mat: Wolverines Sweep the Spartans!